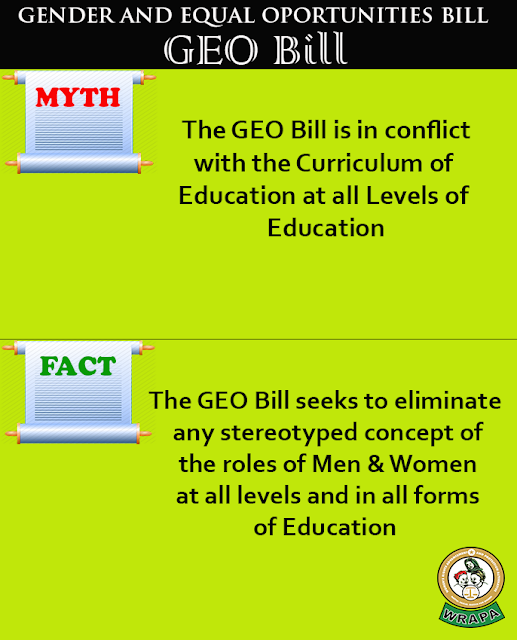 Having understood why it is very necessary, I lend my voice. 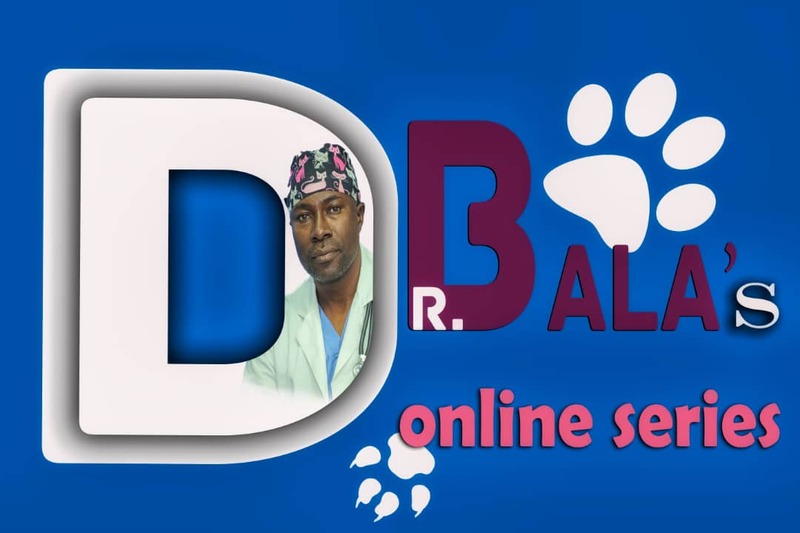 First this bill was sponsored by Senator Biodun Olujimi and have been making progress till I heard a shocker. 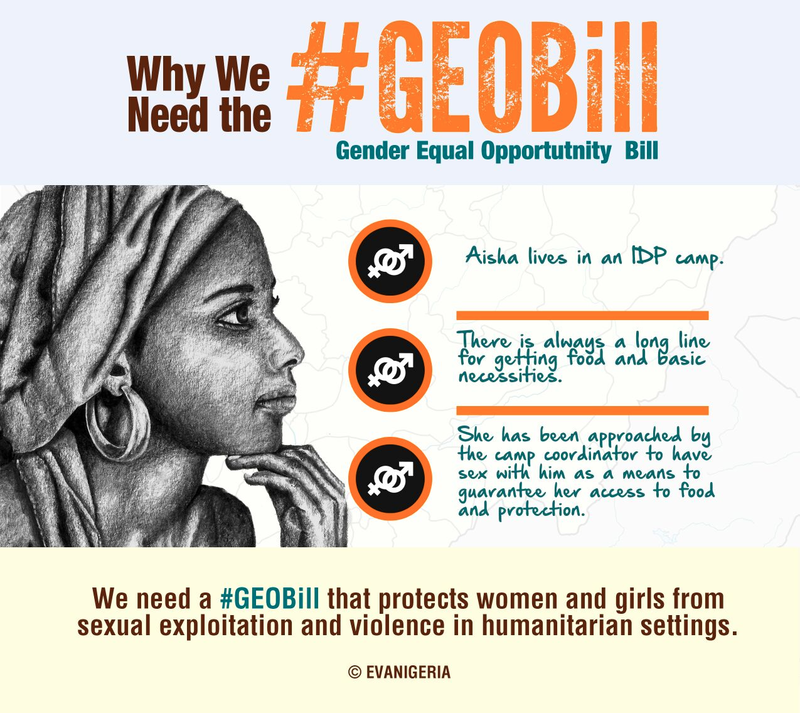 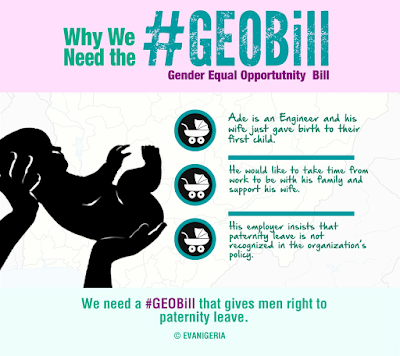 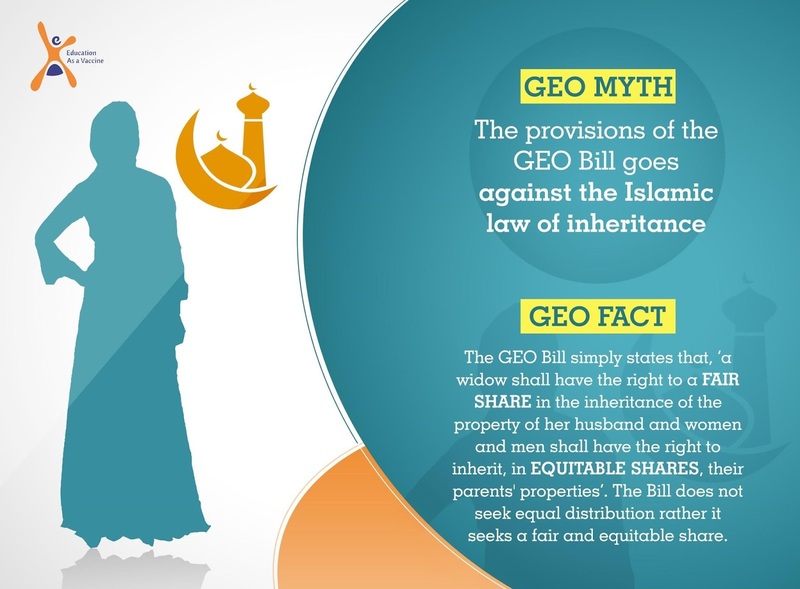 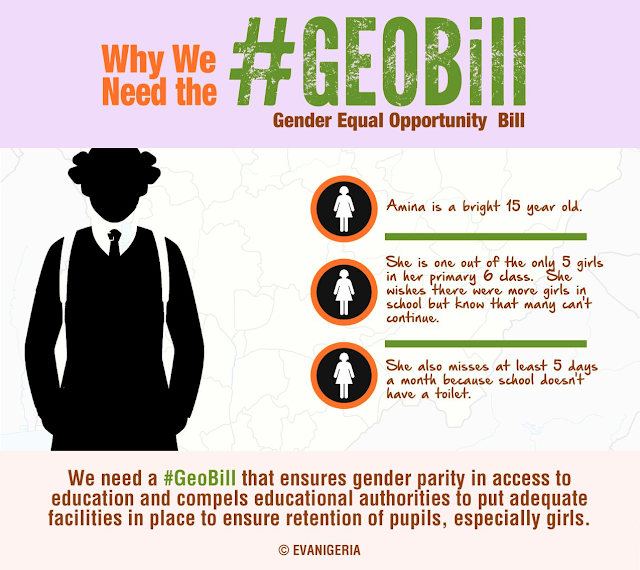 Some law makers said, if the #GEOBill is passed it will give women "too much freedom". 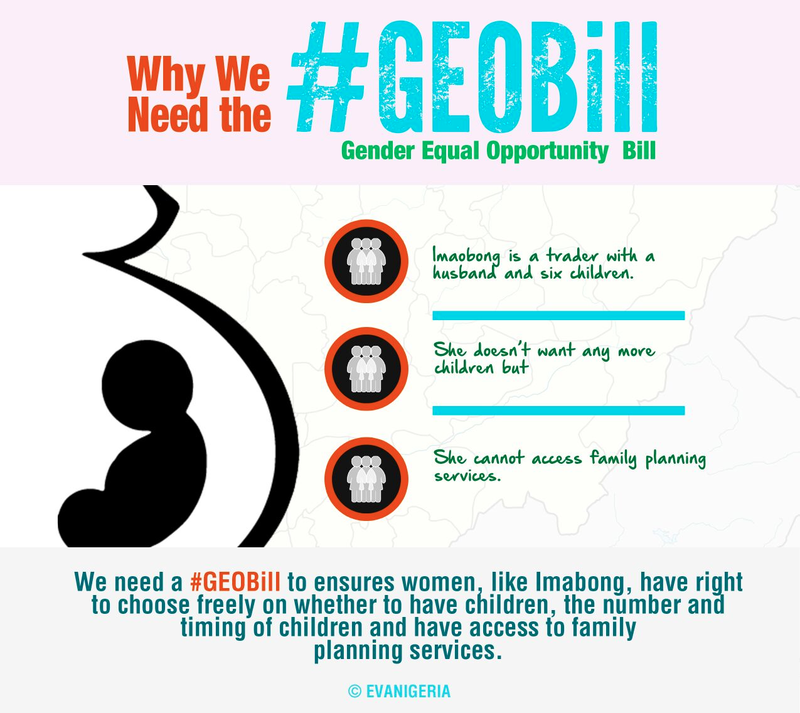 So I took my time to dissect the bill and have become a brand influencer alongside others to share. First what is this bill about? 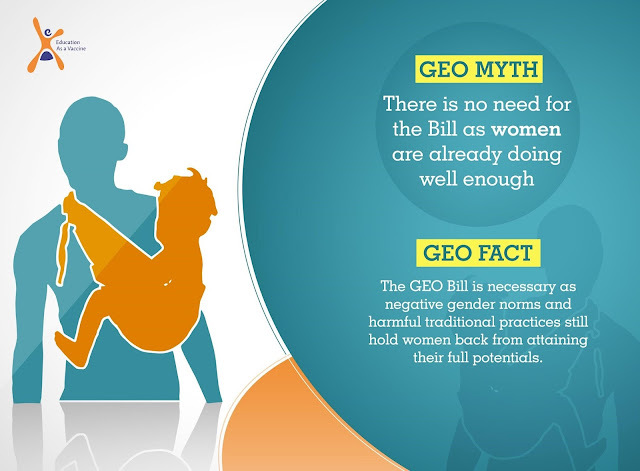 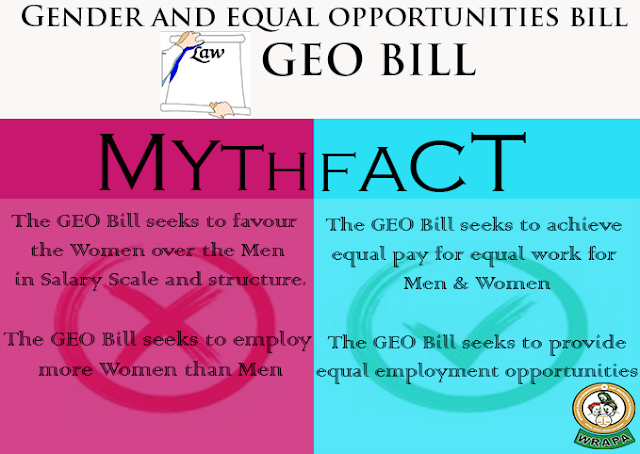 The Gender and Equal Opportunities (GEO) Bill seeks to achieve equal opportunities for men and women and boys and girls in all spheres of life specifically in the fields of health, education, governance, employment as well as in social and economic field. Its focus is on the elimination of discrimination in these areas and on the grounds of gender , age or disability. 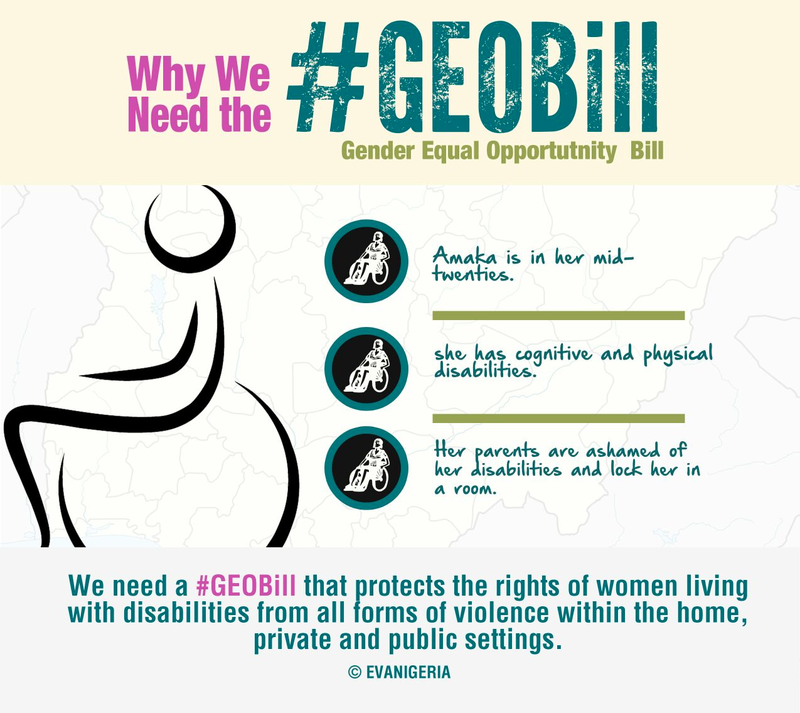 Is it not a good thing when we do not discriminate anyone just because they are young, old, disabled in any way, or because they are male or female? 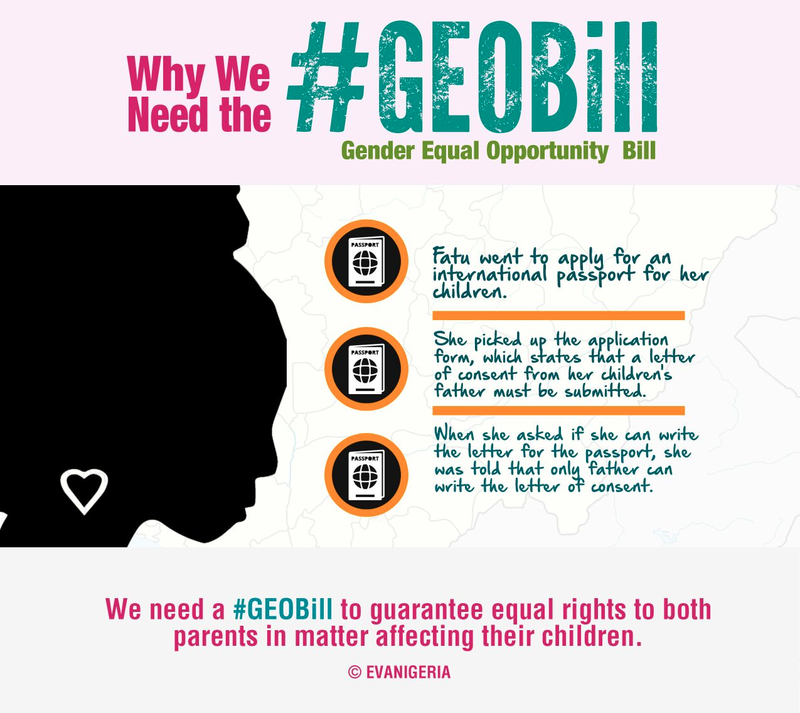 Shouldn't the law protect everyone and give us equal access as citizens? 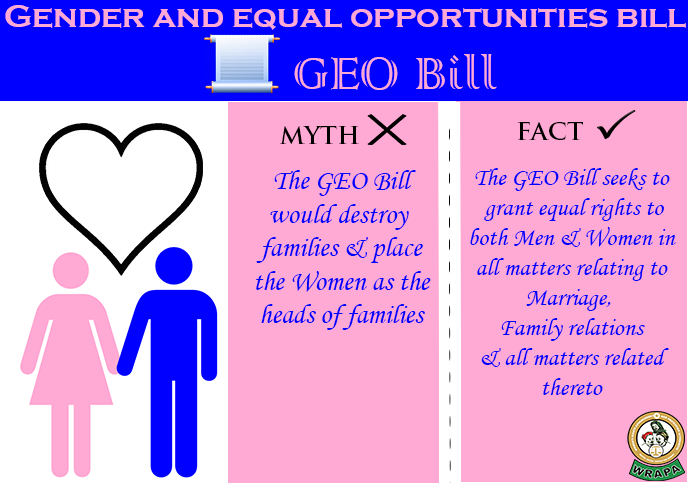 So fam, we (Women and Men) must seeks ways to lend our thoughts and voice to this bill being passed. Imagine how endangered your daughters in particular will be if we do not upgrade our country laws to protect them and everyone? We need a developed, civilised country and continent; this bill ensure a bit of that while we work at reconfiguring other policies and value systems too. 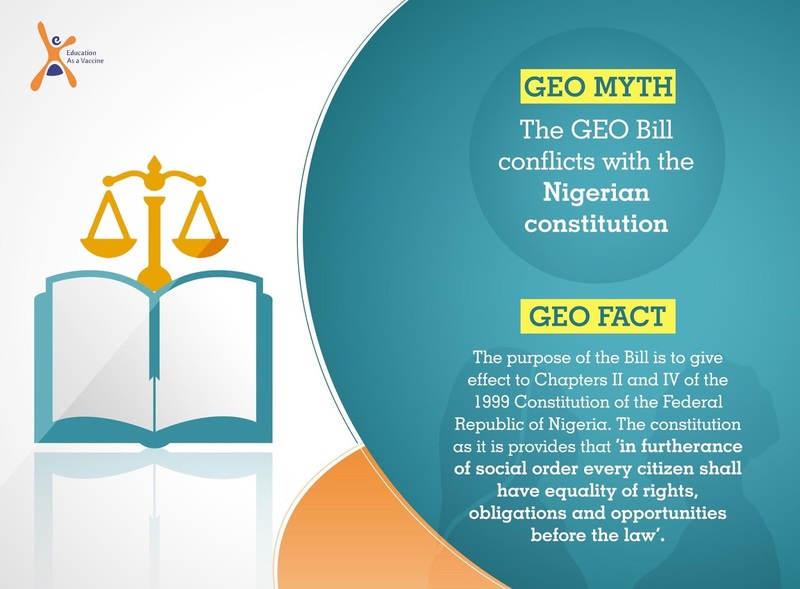 In fact, I usually wonder why are things like basic rights of humans is still what we are dragging in 2017....Nawaoh! 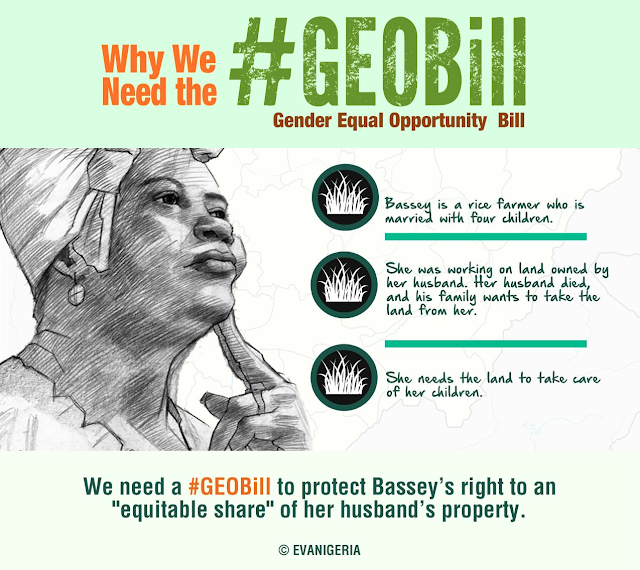 We gat work to do to preserve our posterity!